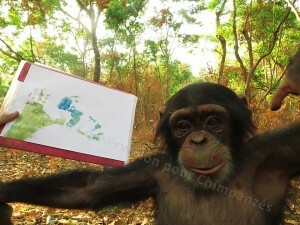 The youngest of our chimps recently took part in a fun painting session. 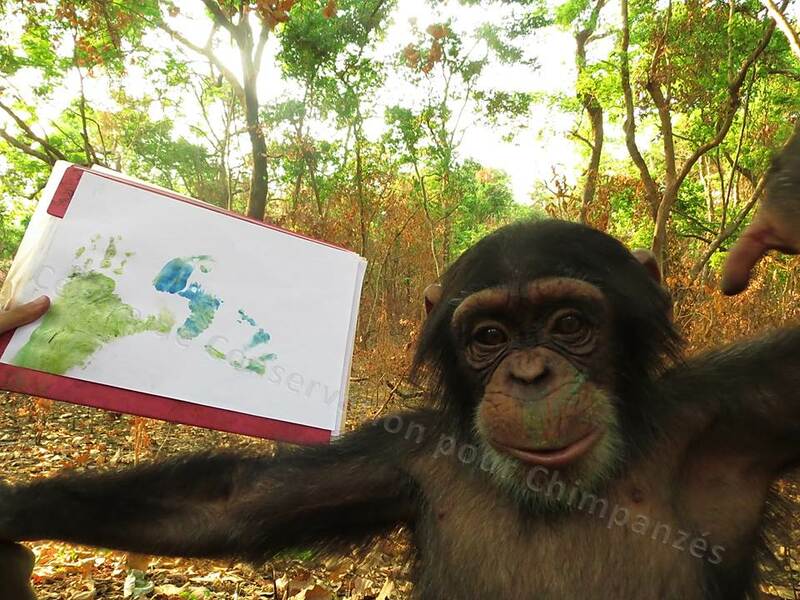 Their foot and hand prints were taken using non-toxic paint as used with for kids (as with kids, chimps love eating it too!). These prints are on their way to the USA where they will be presented during an auction sale organized by Project Primate Inc. The funds will be raised on behalf the CCC. We will keep you posted about this event. Look at Labe: she is so proud of herself!